Traveling across the Sahvana early this morning it was irrasistable to take a photograph is these really large and unique trees in the region. 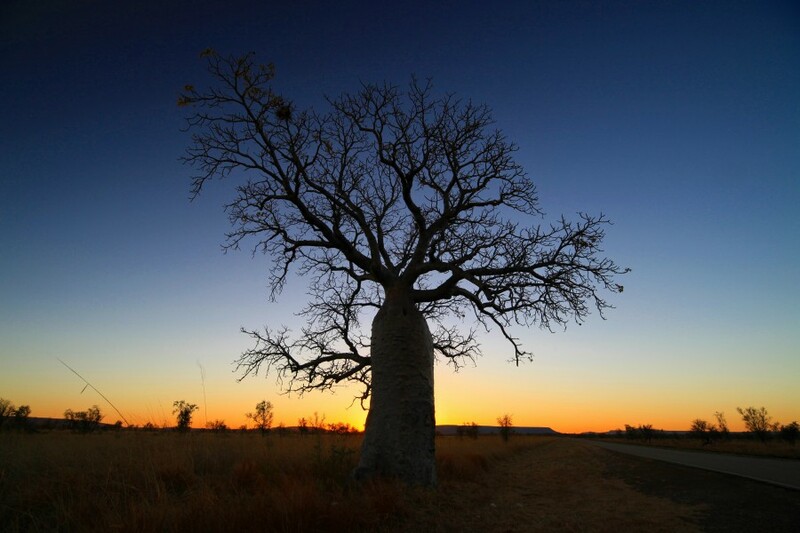 Boabs have large trunks and sparse leaves across the top in order to adapt to the climate in the semi arid and tropical regions in northern Australia. This is ment to conserve water, and keep the tree alive in the hot and demanding cimate. I am very happy with todays photograph, and I don't think it will require much editing to improove it. There was only a few sticks and in the forground the left that made the photograph difficult to take. I might remove them in the darkroom when I make prints of this photograph.